Mark Gibbs is a specialist in coastal management, coastal climate adaptation, and risk management and has been providing specialist technical, advisory and Expert Witness services to government and project proponents globally for 25 years. Mark has held senior management and executive roles in the private and public sector for 18 years. Public sector roles included executive positions in internationally recognised science and research institutions, including AECOM, CSIRO and CAWCR - the Centre for Australian Weather and Climate Research - a partnership between CSIRO and the Australian Bureau of Meteorology. 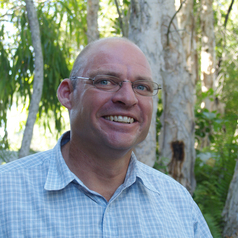 Originally trained as an engineer, Mark also holds post-graduate qualifications in mathematics, business management, natural resource management and is a non-executive director of Green Cross Australia. Mark also holds a Master Class 5 commercial skippers ticket, and is an RYA Yachtmaster Ocean, Offshore and Cruising Instructor. Mark is a part time yachting instructor at Southern Cross Yachting, skipper/researcher for the Earthwatch Institute, and ocean yacht racing sailor.